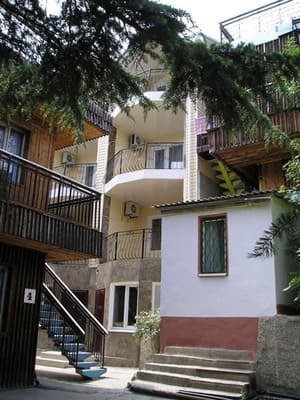 Hotel "Sea Star" is located in one of the most picturesque and ecologically clean places of the Southern coast of Crimea - in "Professor's Corner" of the city of Alushta, 250 m from the sea at the foot of Mount Kastel. 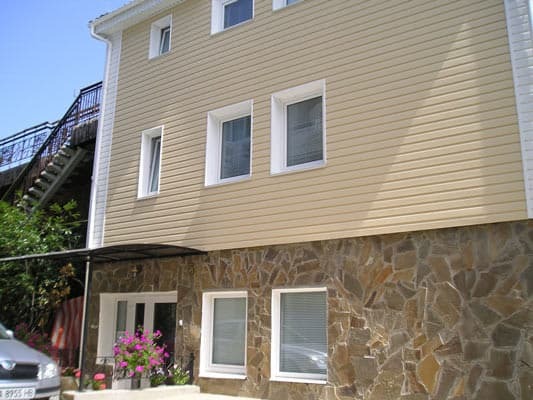 The small cozy hotel building consists of comfortable modern rooms of various categories. Each room of the hotel "Sea Star" is equipped with everything necessary for a comfortable stay. From the upper floors there is an amazing view of the sea. For residents of the hotel, the following services are available: car rental, transfer, laundry service, car tours in Crimea. Rest in the hotel "Starfish" will bring a lot of positive emotions. PRICES MAY CHANGE, YOU NEED TO RECEIVE INFORMATION FROM THE OPERATOR! Description of the room: A cozy one-room apartment without a balcony with a total area of ​​30 sq.m. The room is equipped with everything necessary for comfortable living: a double bed, a sofa bed, a wardrobe, a bedside table. 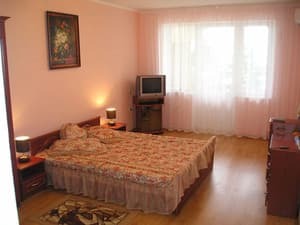 Description of the room: Cozy one-room with a total area of ​​20 square meters. 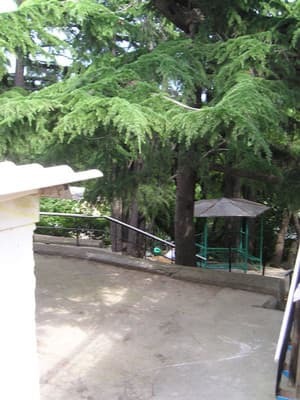 m, a balcony with an area of ​​10 sq.m. The room is equipped with everything necessary for comfortable living: a double bed, a sofa bed, a wardrobe, a bedside table. Description of the room: Cozy one-room with a partial sea view with a total area of ​​20 sq.m. There is a balcony of 10 sq.m. The room is equipped with everything necessary for comfortable living: a double bed, a sofa, a wardrobe. 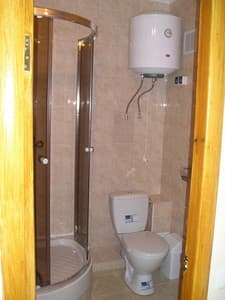 Description of the room: Number on the 3rd floor with a total area of ​​20 sq.m. with a balcony of 10 sq.m. The room is equipped with everything necessary for comfortable living: a double bed, a sofa, a wardrobe, a bedside table. Description of the room: Cozy one-room with a partial sea view with a total area of ​​28 square meters. There is a balcony with an area of ​​10 sq.m. The room is equipped with everything necessary for comfortable living: a double bed, a sofa, a wardrobe, a bedside table. 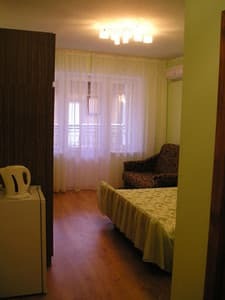 Description of the room: Cozy one-room, located on the 3rd floor with total area of ​​28 sq.m. There is a balcony with an area of ​​10 sq.m with a view to the sea. 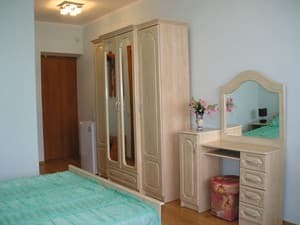 Room is equipped with everything necessary for comfortable living: double bed, sofa, wardrobe. The cost of extra bed is 25% of the room price. For children from 2 to 5 years, an additional fee is not provided, from 5 to 12 years, an additional payment is 12.5% ​​of the room rate per child. Accommodation with children from 2 years. 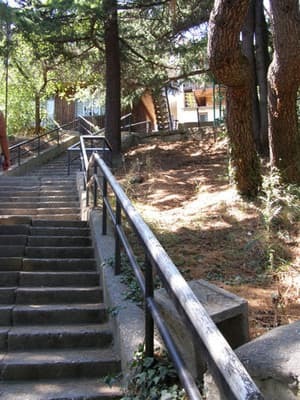 The hotel is located in one of the most picturesque and ecologically clean places on the southern coast of Crimea - in the "Professor's Corner" of the city of Alushta, in the recreation center "Otrada". 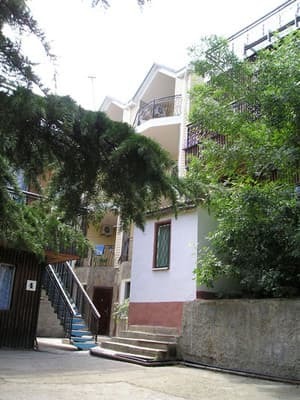 The cottage is located 250 m from the sea, at the foot of Mount Kastel. GPS coordinates (44o 38'31.80 "C 34 about 23'51.95" B). From the trolleybus ring in Alushta close to the embankment there is a trolleybus ring, from there to the Professor Corner there is a trolleybus No. 2, as well as minibuses. You can arrange a meeting at the station.